Advanced Control Solutions offers a comprehensive selection of automation products and services. Our priority is to help our customers gain a competitive advantage in their market through efficient and creative use of factory automation technology. By focusing on high-end technology, ACS provides innovative hardware and software solutions with superior service and technical support. We aim to bridge the gap between the factory floor and the boardroom using a range of products - from Ethernet-ready PC solutions to vision and motion control systems. Our company success thrives on our ability to stay on the cutting edge of factory automation technology, which is reflected by our company culture. ACS stocks and distributes automation products made by top industry manufacturers. Our engineering teams support the specification, implementation, and maintenance of these products. We provide a complete line of factory automation products, including: machine vision equipment and software, motion systems, intelligent sensors, logic controllers, I/O systems, barcode scanners, and safety equipment. Our engineers concentrate only on products that ACS distributes, giving you specialized expertise and extensive experience for all of the products we represent. ACS operates as an extension of your engineering department; helping end-users, Original Equipment Manufacturers, and our integration partners successfully complete projects. This approach minimizes your risk in implementing the latest technology on the factory floor. ACS is NOT just a distributor; We are your solution provider. 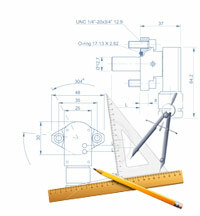 We offer a blend of both products and engineering services. Our vast team of experienced engineers can help you reduce costs and make smart decisions about your factory automation products. Our advanced facility enables us to minimize your risk in installing machine vision solutions. Our labs are equipped with the most sophisticated lighting and lenses enabling us to rigorously test your application locally.